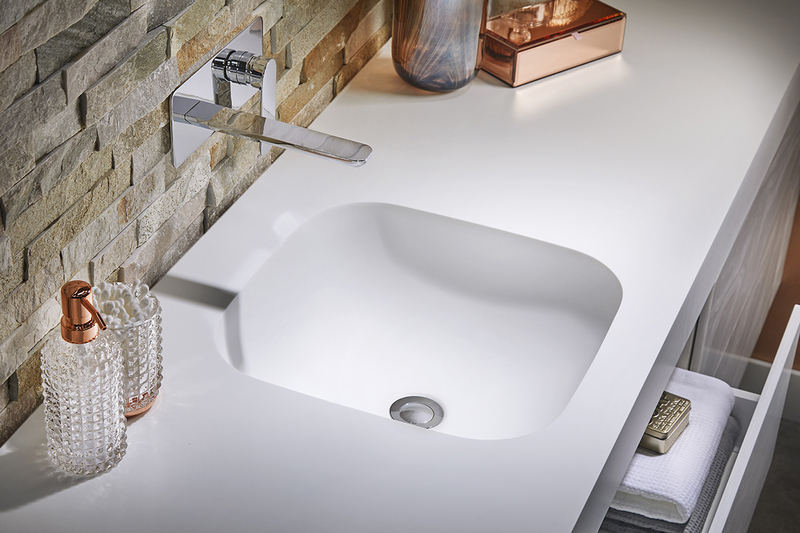 Whilst copper has been around in interior design for a number of years, chrome has always been the most popular choice. 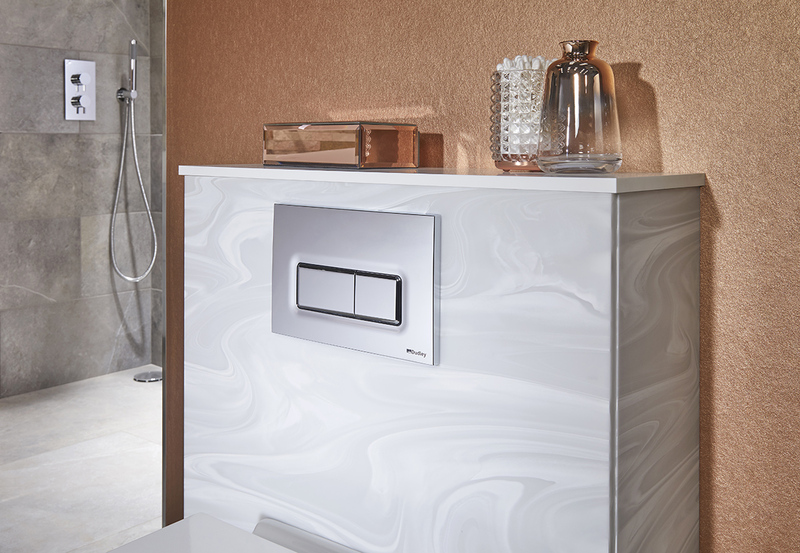 This is largely due to the small amount of choice available in copper for shower components and brassware. People like things to match. 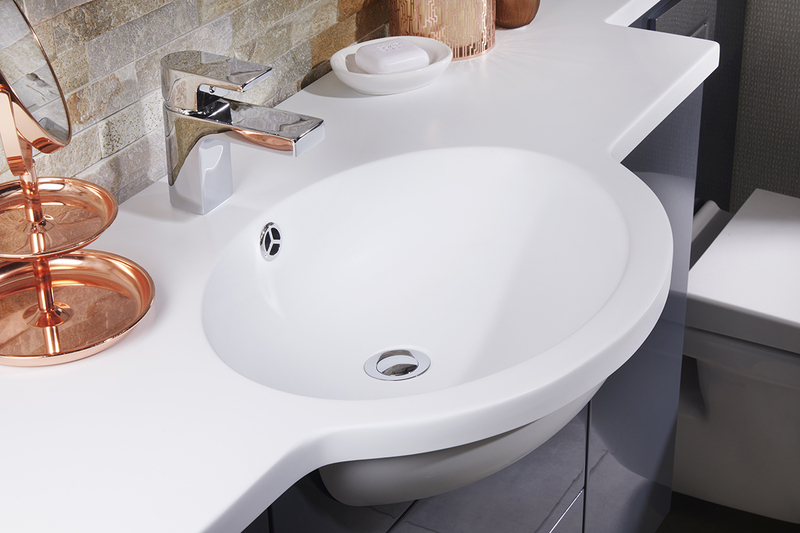 Whilst chrome may be the dominant metallic in most bathrooms, teaming it with copper can look sensational. 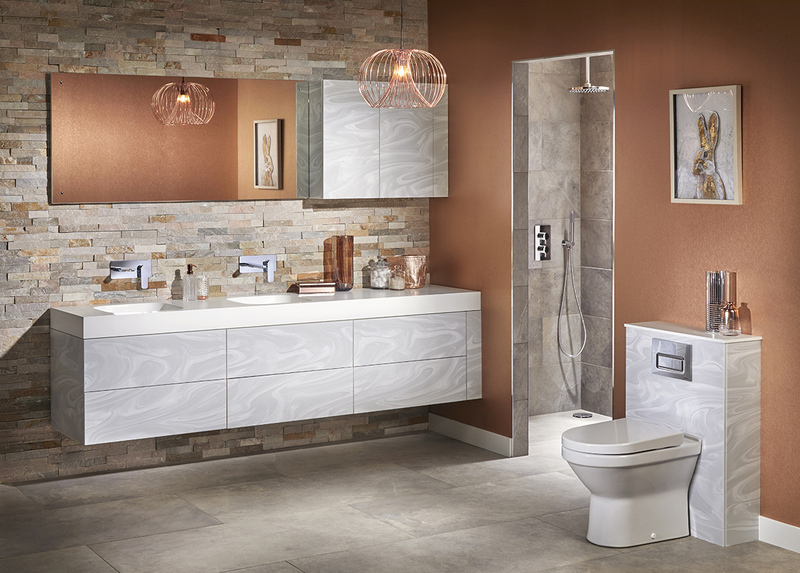 There are plenty of ways to introduce copper into a bathroom besides the taps and shower controls. 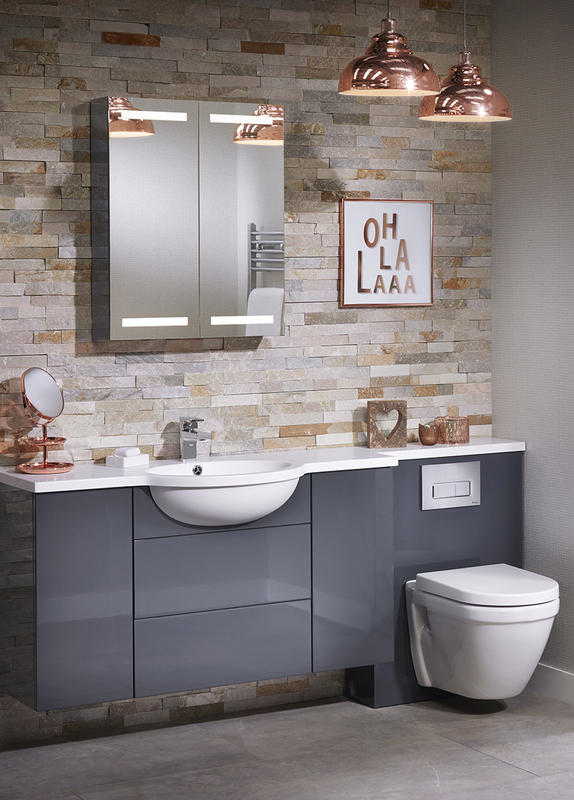 Light fittings, tiles, accessories and even wallpaper can introduce the colour into any bathroom, en-suite or cloakroom and with plenty of ideas on Pinterest, you’ll never be stuck for inspiration! There are many tiles, both wall and floor, that feature metallic accents. These tones, when combined with neutrals, greys and greens will add a luxurious feel. Tiles with an uneven surface, such as multi faceted tiles, add a rustic allure, yet with minimal style, and can form the overall basis for your interior colour scheme. Copper lighting has become extremely popular. Whether your style is decadent and opulent, minimal chic, or anything in between, there’s sure to be a light to suit your taste. A statement light, such as a modern wire solution can look amazing in the bathroom. Equally ‘coolie’ style shades combine both classic and modern elements. There are plenty of wallcoverings available with hints of metallic in them. Be sure to choose a vinyl wallcovering that is suitable for use in the bathroom though. 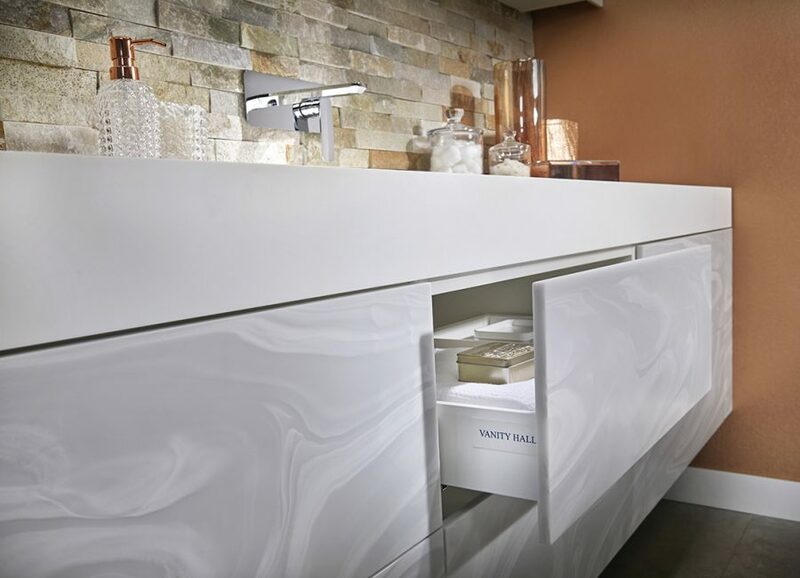 Toothbrush holders, soap dispensers, and mirrors are all available in copper finishes. These small accents of colour cohesively unite the overall scheme. Furthermore, why not consider introducing accents of it with decorative touches such as trinket boxes, vases, and even art on the walls. The amount you use in your bathroom doesn’t have to be a great quantity. In fact, it can be said that less is more! 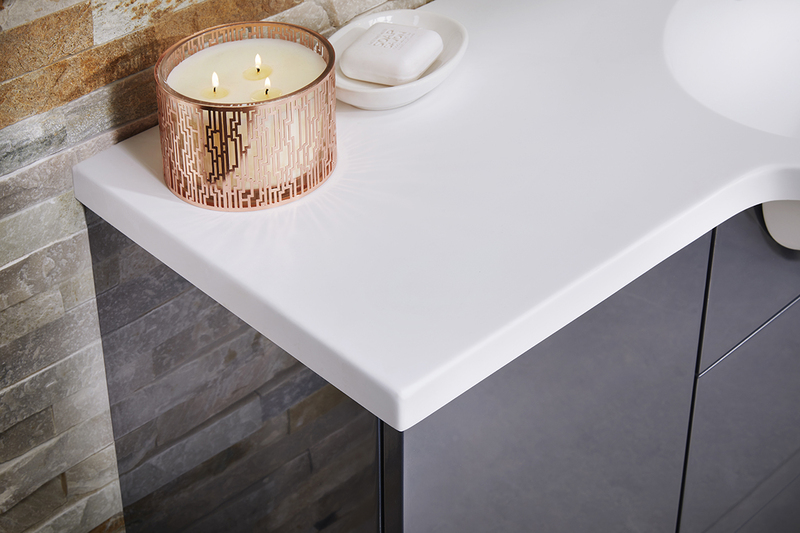 With so many furniture finishes that look great with copper, visit our website today and discover your favourite.